Always put your best face forward. This intensifier is uniquely designed for delicate facial skin promoting a uniform golden glow. Clear Complexion Complex soothes and heals for picture perfect skin. New Firming Blend tightens, nourishes and firms skin for a youthful radiance. Shine Control controls oil leaving your with perfectly flawless shine-free skin. 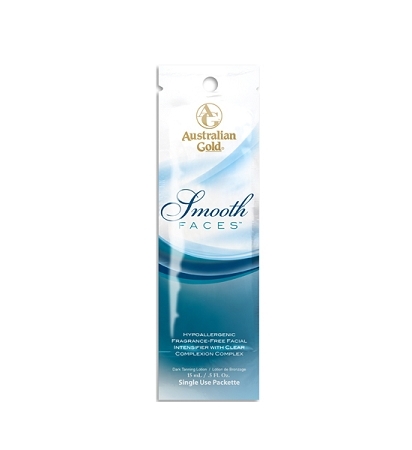 Hypoallergenic properties allow even those with the most sensitive skin to have golden Smooth Faces !